1st Rate Master Painters & Decorators partner with interior decorators. We carry out high-quality painting, skim plastering and wallpaper hanging. As Members of Master Painters Auckland, Site Safety NZ, NZQA Qualified and Approved Repair Care Contractors, we have some serious knowledge to share. Our project consultation / quote appointment is the opportune time to find answers to the many questions you have. As we talk about your project and dig a little deeper we're thinking through the issues you are facing and we will offer any advice that will help you. As a member of Master Painters Auckland, We like to walk away at the end of each day, knowing we got it right. You just want to know that it is right! When you’re spending thousands on improving and presenting your property, you can relax knowing it’s being done properly. 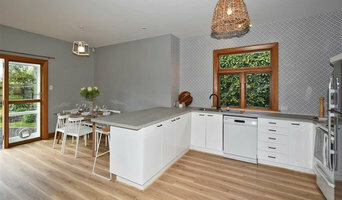 Sarich Design and Build is an experienced residential construction company that specialises in unique custom built new builds and complex alterations. 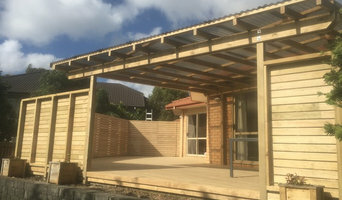 We can assist from any point in the building process from design ideas and arranging plans, to providing a fixed price quote from existing plans. We pride ourselves on quality workmanship and experience with exceptional personal service to our clients. It is our priority to have honest and clear communication as this is the key to a successful relationship and build project. Whether it be a renovation, extension or new build, Coppins Construction are your residential building specialists. Born to build, Licensed Building Practitioner, Zane Coppins created Coppins Construction in 2005. Having grown up in a family of builders and with many years experience under his tool belt, he set out to become qualified early on to work in the family business. Since then, Zane has built Coppins Construction around his vision of delivering a professional quality finish to every job. As Zane states, "customer satisfaction is what we aim to achieve. 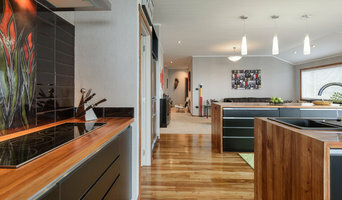 Building your new home or renovating an existing home is a major investment for any home owner. When you deal with Coppins Construction, you deal directly with the man at the coalface, therefore I can ensure that pride and care are taken at every stage of the building process. At the end of the day, how the job has progressed and how it is finished is my signature, so I expect it to be delivered to a high standard". Josh Grant Building Services is the solution to all your building needs. From the foundation upwards we deliver only the highest quality craftsmanship. With 10+ years experience and a set of skills developed over a variety of diverse projects you can count on me to deliver something special. Fearnley Construction Ltd is a family-run building business owned by Ben and Rebecca Fearnley. We pride ourselves on providing quality workmanship, personal service, and a client-first attitude. We have experience in building new houses, renovations, kitchens, bathrooms, decks, and landscape construction. We will work with you, our clients, throughout a project – from your first meeting, to the handover of your house/job. We pride ourselves on communication and organisation. We like our clients to know what is going on and when things are going to happen. We do a great job in organising and booking in our subcontractors in order to streamline the process. 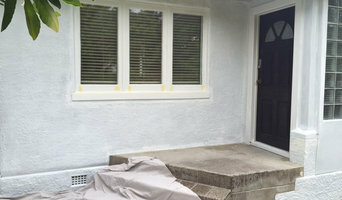 We offer our clients excellent service and a quality finished product/home. See our Testimonials page (on our website) to see what clients of ours have said. Family owned and operated, specialising in home renovations. No job too small. We can also provide trusted and reliable sub contractors. 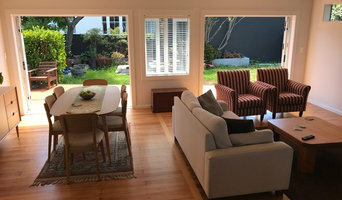 “No Boundaries Furniture” is situated in Kennedy’s Bush, Halswell Christchurch. We make unique custom-made furniture to order. If you find a design that you love, bring it in and we can make it for you at a competitive price. We use proven jointing methods on all our furniture to ensure the piece not only looks good but will stand the test of time. We also fix and restore everyday and antique furniture. Choose Lawson Homes and you are guaranteed builders in Canterbury and Marlborough who will not compromise on giving you anything less than the home you expect and deserve. With over 30 awards in the Registered Master Builder House of the Year competition, you can be guaranteed of the quality of every house we build. In hard fought competitions, we have even won at a national level. As Registered Master Builders, we offer a Master Build Guarantee on all of our projects. We know that building your dream home is one of the biggest decisions you will make and we strive hard to bring your dreams to reality, taking pride in building not just a house, but a home brimming with individuality that reflects your tastes, needs and lifestyle – a home that you will love and love to live in. We specialise in the construction of eco focused homes and alterations. Using the best practises to ensure a warm and efficient home that will delight our customers.